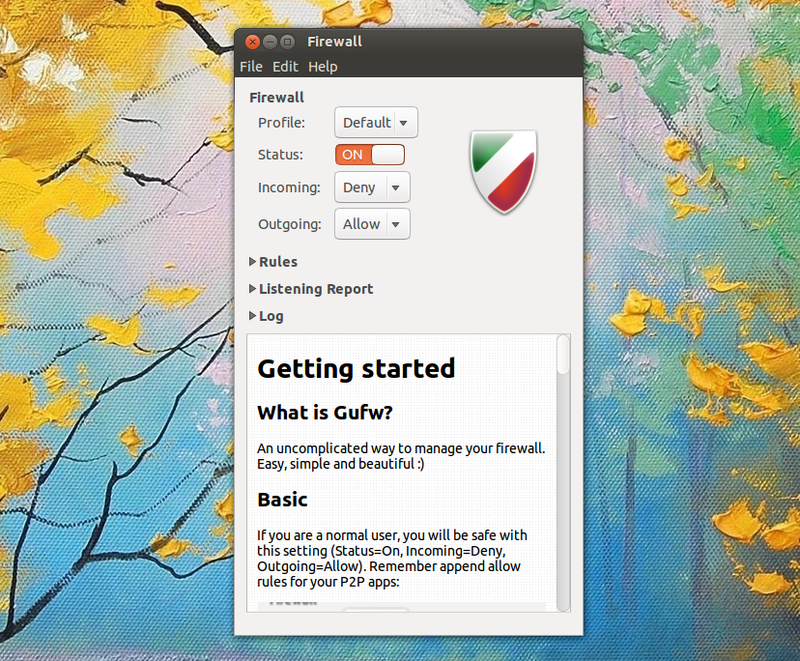 Gufw, a firewall that uses UFW (Uncomplicated Firewall) under the hood, has been updated recently, getting a new layout and some important new features. 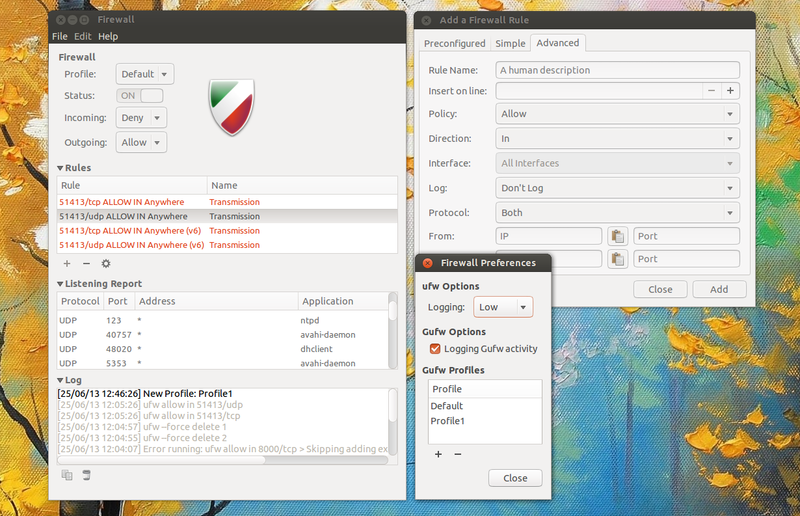 Ubuntu ships with UFW (Uncomplicated Firewall), a configuration tool for iptables, but it's not enabled by default. Even though UFW does a great job, it's a command line tool so to make things even easier, Gufw has been created with the goal of being an intuitive, easy to use GUI tool for home users. 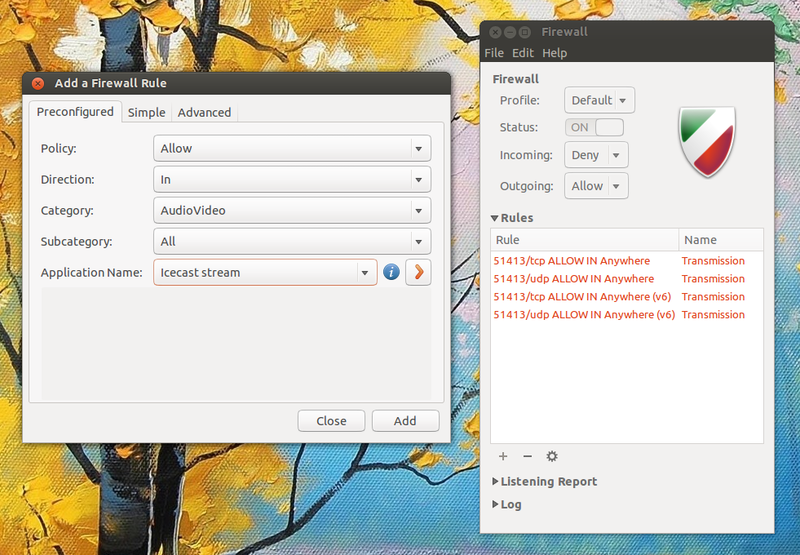 So what's a firewall? In short, a firewall is used to prevent unauthorized access to the computer it runs on, by analyzing the incoming and outgoing network traffic. 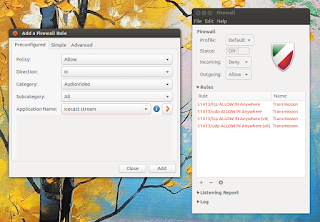 For older Ubuntu versions, you'll find a Gufw 13.10 deb download link on its website, along with an AUR package for Arch Linux users. There are no packages for other Linux distributions yet but you can grab the source code via Launchpad.